The Niger Delta region has a rich and diverse flora and fauna: there are vast mangrove forests and a wide variety of animals that are specifically native to the particular ecosystem prevalent in that area. The oil in the region is being extracted, mostly by international companies, by way of drilling, a technique involving unavoidable oil spills and uncontrolled gas flaring. The fact that natural gas, a by-product of oil extraction, is still currently being burnt by the oil companies, which again causes air pollution, is only one of the problems. When it comes to the consequences of oil extractions on the environment of the Niger Delta, several human rights are being violated. First of all, the right to health and a healthy environment, which is stated in the International Covenant of Social, Economic and Cultural Rights,(4) in the African Charter on Human and People’s Rights5 and the Universal Declaration of Human Rights6. Because the oil makes its way into the water system of the Delta, drinking water becomes polluted and fish die. Other cases that further illustrate the corruption problem, include the one of the Nigerian Health Minister, Adenike Grange, who resigned in March 2008 after the EFCC brought corruption charges against her.14 In October 2009, “Olabode George, Chieftain of the People’s Democratic Party was convicted for financial crimes.”15 Of course, these developments can also be seen as positive signs of an increasing awareness on corruption in Nigeria. Moreover, there are also several cases in which Nigerian state officials have been trailed for corruption and money laundering charges abroad; amongst them, Diepreye Alamieyeseigha, Governor of Bayelsa, and James Ibori, Governor of the Delta States. Once more, this shows that corruption is not as an unattended issue anymore in Nigeria, as it used to be. However, stronger efforts are needed to bring about effective changes for the Nigerian people. Some positive steps in the field of anti-corruption have already been taken by the government itself in passing “a fiscal responsibility bill which institutionalises the use of an oil price-based fiscal rule (OPFR), with earnings above a conservative estimate of the global oil price saved in an excess crude account.”16 However, it will be crucial to use the money collected in that account for the good of the Nigerian population. Conclusion The Nigerian Delta States have a great potential for development and prosperity. However, it is clear that the fruits of the natural resources and the consequent development can be fully enjoyed only if environmental pollution and resulting human rights abuses and corruption come to a halt. To reach this end, stronger international cooperation and monitoring is needed so that the “abundant human and natural resources” in the Niger Delta will finally have “an impact on poverty” and on human rights.17 The first steps have been taken and the United Nations Environment Programme is moving into the area to conduct assessments on the environmental situation. 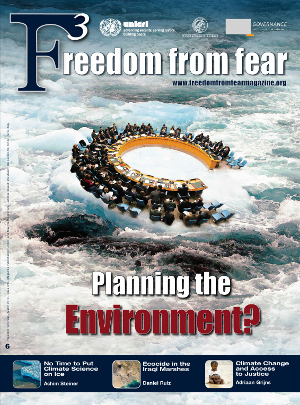 As UNDP rightly puts it, “rigorous enforcement of environmental laws and standards” is crucial. Moreover, all the relevant legislation in respect of human rights is there, it only has to be properly enforced. * Anja Roth is Trainings and Research Assistant at the Basel Institute on Governance. 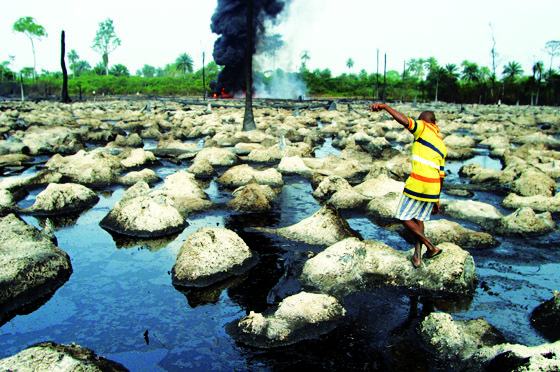 (3) Amnesty International: Nigeria: Petroleum, pollution and poverty in the Niger Delta Report 2009. (4) Art. 12 5 Art. 24 6 Art. 25 7 UDHR, Art. 25, ICESCR, Art 11. 8 UNDP Report Human Development Report Nigeria 2008 – 2009 Achieving growth with equity, November 2009, available at http://web.ng.undp.org/documents/NHDR2009/NHDR_MAIN-REPORT_2008-2009.pdf, p. 105. (13) UNDP Human Development Report Nigeria 2008 – 2009 Achieving growth with equity, November 2009, available at http://web.ng.undp.org/documents/NHDR2009/NHDR_MAIN-REPORT_2008-2009.pdf, p. 108. (16) UN Nigeria: Nigeria – UNDAF II 2009 – 2012 Report September 2008, available at AF_Nigeria_2009.pdf, p. 7. (17) UNDP Niger Delta Human Development Report, 2006, available at http://web.ng.undp.org/publications/nigeria-delta-hdr.pdf, p. iii.